There is something about streams that I just find irresistible. Whenever I’m out I tend to try and walk near one and invariably find myself wading about in them, slipping around trying to set up the tripod! 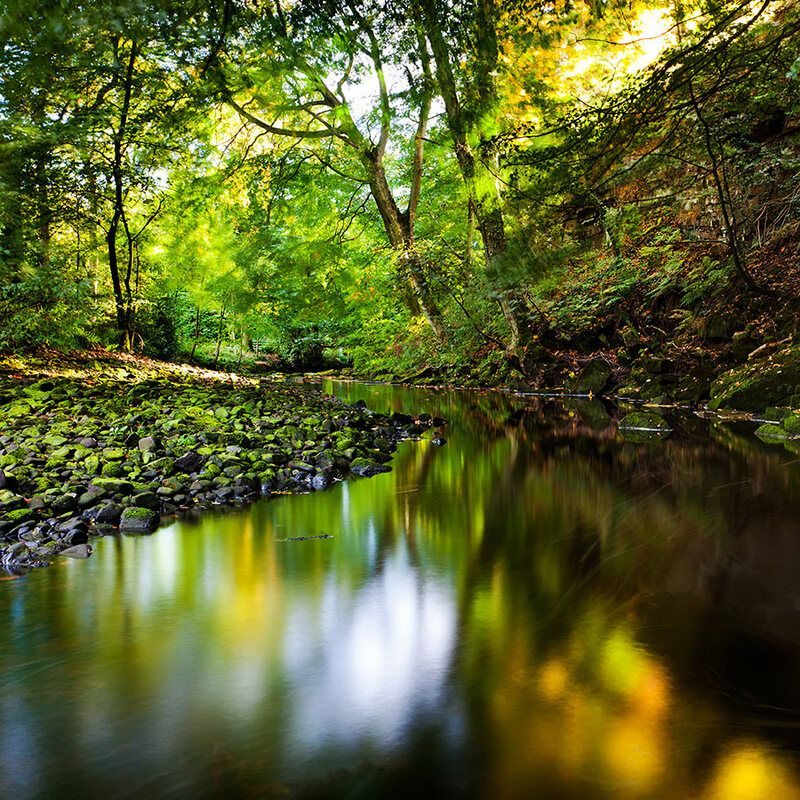 This particular stream was in the bottom of a steep shady gorge and on a distinct light less corner in the river, not far from Swinsty Reservoir. The stones you can see on the left were extremely slippy and I bet coming back when there is ice, would make it safer to walk across them! Once a month this river is flooded by the water company opening the reservoir and kayakers cascade down it! Good job I knew about this! Can you imagine how surprising it would be, minding your own business, tootling about in the river making images and all of a sudden, and a wall of water cascades down towards you! Not much fun legging it on the slippery rocks I bet!